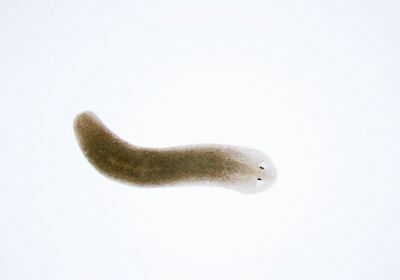 ABOVE: A Schmidtea mediterranea planarian flatworm. Exposure to weak magnetic fields can, depending on their strength, either slow or boost flatworm regeneration, according to a report in Science Advances today (January 30). The study provides evidence for a possible mechanism, showing that magnetic fields affect the production of reactive oxygen species, which in turn alter cell behavior. Furthermore, “it provides the prospect that a weak magnetic field could be employed as a therapeutic tool to non-invasively regulate tissue formation,” says Daniel Kattnig, a biophysicist at the University of Exeter in the UK who also did not participate in the research. Life forms on Earth are continuously exposed to the weak magnetic field of the planet itself, which ranges from approximately 25 microTesla (µT) at the equator to 65 µT at the poles. 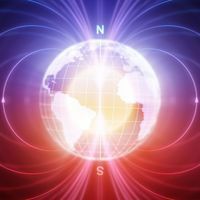 They can also encounter the generally much weaker magnetic fields generated by certain manmade technologies, such as power lines, household appliances, and cell phones. A major hypothesis for the biological effect of weak magnetic fields (those between Earth’s average and 1 mT) is that they might induce a process called radical pair recombination. In essence, it is thought that a magnetic field might alter the spin direction of electrons in the outer shells of atoms, disturbing the molecular pairing of such atoms and favoring free radical formation. In the case of certain molecules containing oxygen, for example, this disturbance would increase the production of reactive oxygen species (ROS). 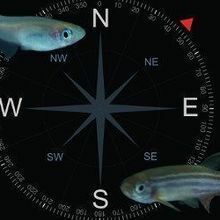 With this possible mechanism in mind, Beane and colleagues examined magnetic field effects on a biological system known to require ROS—regeneration in the planarian flatworm Schmidtea mediterranea. The team first amputated the worms above and below their feeding tubes (in the middle of their bodies) and placed the body fragments in culture dishes inside an electromagnetic coil within a magnetically shielded chamber. 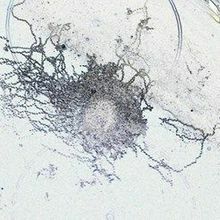 In this way, worm fragments were exposed to a range of static weak magnetic fields for a period of three days—the time normally required for the formation of a cell mass (blastema) at the wound site. They found that magnetic fields between 100 and 400 µT inhibited the growth of blastemas compared to those developed by worm fragments exposed to Earth-equivalent fields (45 µT), and that a 500 µT magnetic field increased blastema growth. The differences in growth seen at 200 µT (the strength at which peak inhibition was observed) and 500 µT were associated with differences in ROS levels, which were lower than normal in the 200 µT–exposed animals and higher than normal in the 500 µT–exposed animals. Why these unexpected and different effects on ROS levels are seen at different field strengths is not clear. One possibility, explains Ben Greenebaum, an emeritus physicist at the University of Wisconsin who was not part of the research team, is that while a certain amount of magnetic energy can flip the spin direction of electrons, other energy levels can “flip it back,” meaning nonlinear outcomes may be observed. 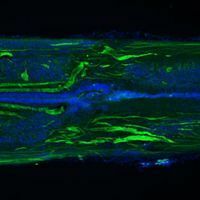 The reduced blastema growth seen in 200 µT–exposed worms was also associated with reduced stem cell proliferation and lower levels of a ROS-induced stress protein. Moreover, artificially boosting ROS levels in 200 µT–exposed animals rescued blastema growth, providing evidence that ROS are indeed mediators of magnetic field effects, albeit not exactly as predicted by the radical pair recombination hypothesis. A.V. Van Huizen et al., “Weak magnetic fields alter stem cell–mediated growth,” Science Advances, 5:eaau7201, 2019.